August 26, 2015 was organized a Zero Gravity flight board a group fight board a IL-76 MDK aircraft! 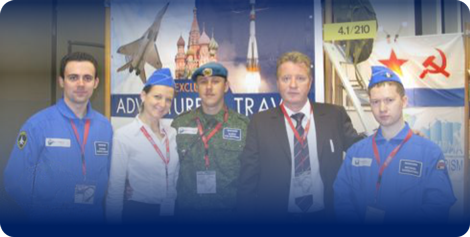 Our company specializes in the avia & space tourism in Russia! We would like to share it with you that on the 25-26 of August we organized one of the most popular adventures we offer, a Zero Gravity flight board a IL-76 MDK aircraft for a group of tourists! 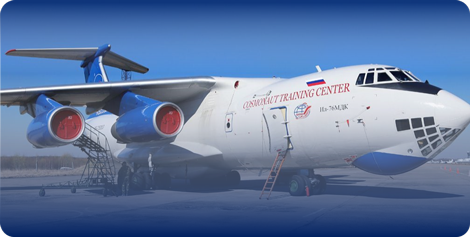 This is an unique adventure, that we organize board a specialized aircraft IL-76 MDK. 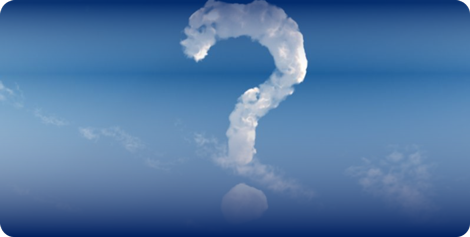 In this aircraft we are able to recreate weightlessness modes. 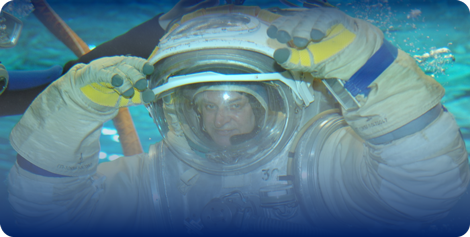 In this planes real astronauts are trained before their take-off to space. 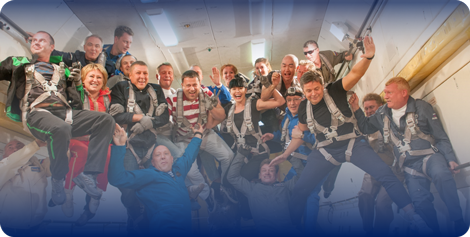 This flight allows to imitate the real feeling of weightlessness during the flight, which is exactly what astronauts feel in outer space. Our flight group was organized for 13 people, a lot of which came from other cities of Russia to Moscow to take part in this unique adventure. Before the flight the whole group went through an orientation, medical checkup with instructors and employees from the Yuri Gagarin Cosmonaut Center. They checked their parachutes, and the tripulation checked the IL-76 MDK. They were briefed in details the rules during the flight, went through an emergency training. The instructors explained the rules during the zero gravity modes. Board the IL-76 MDK aircraft during the flight our group felt 10modes of zero gravity. 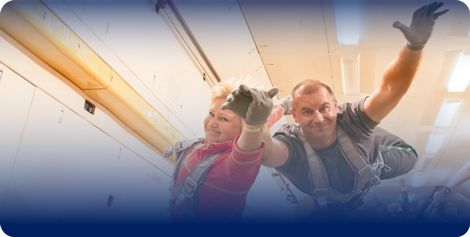 Instructors from the Yuri Gagarin Cosmonaut Center secured and helped the tourists during the flight and during the zero gravity modes. The Zero Gravity flight board the IL-76 lasted 1 hour and 20 minutes, during the flight were performed 10 zero gravity modes, each lasting 25-30 seconds! The Zero Gravity flight board the IL-76 MDK was a success and all of our tourists were amazed with their experience in taking part in this unique adventure like real astronauts! When the aircraft landed, all of the participants were given a Certificate from the Yuri Gagarin Cosmonaut Training Center about their Zero Gravity flight and that they went through a part of the training for taking a flight to space in a IL-76 MDK aircraft! 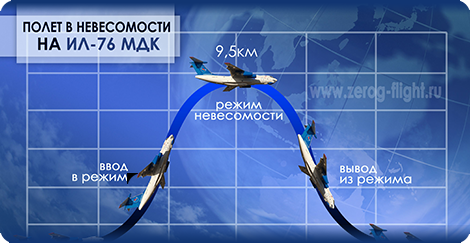 The next Zero Gravity flight board an IL-76 MDK for a group of tourists is planned for November 3 2015!